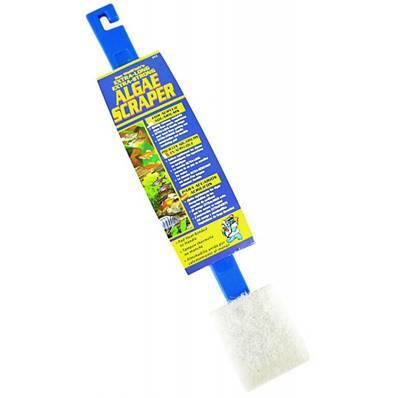 An incredibly durable algae scraper consisting of a specially shaped white acrylic cleaning pad attached to a virtually indestructible handle. The specially shaped head has both a scrubbing pad and a hard scraping tip and will work in corners and on flat surfaces. The angled head is attached to an 18" long, strong handle which makes quick and easy work of even the toughest algae. For acrylic aquariums.